FRENCH, CHARLES, printer’s assistant and convicted murderer; b. c. 1807 in Ireland, son of John French and his wife Jane; hanged 23 Oct. 1828 in York (Toronto), Upper Canada. The son of a former corporal in an Irish fencible regiment, Charles French spent about four years learning the printing trade in York, first with Robert Charles Horne* and then with Charles Fothergill*. After working as a journeyman in William Lyon Mackenzie*’s office, he went to the United States before returning to York and serving as a surgeon’s helper and later with Mackenzie again. In 1828 he was dismissed because of what Mackenzie regarded as his dissolute habits; afterwards he worked on the House of Assembly journals. 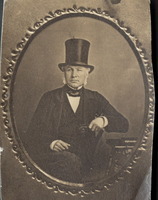 A young man of respectable, if humble, parents, his only brush with notoriety occurred when he witnessed, while in Mackenzie’s employ, the so-called type riot of 1826 in which Mackenzie’s press was destroyed by a gang of young tories led by Samuel Peters Jarvis*. French was charged with murder, his companions James Pratt Goslin and William D. Forest with abetting. On 17 Oct. 1828 French was tried before judge Levius Peters Sherwood*. 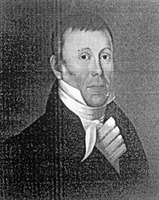 On the request of his counsel, Simon Ebenezer Washburn*, French’s accomplices were to be tried separately the following week. After French’s plea of innocence, Attorney General John Beverley Robinson* opened the case with a “simple history of the facts.” On the fateful night, French was at the theatre, one of his favourite pastimes (on occasion he had even appeared in minor roles). Later, having borrowed a pistol, he shot Nowlan in the streets. The central question in the trial concerned French’s motivation. Was the murder done in self-defence or with malice aforethought? Robinson tried to establish that French wanted revenge on Nowlan for a past indignity and that Nowlan’s actions on the evening in question had not provoked French’s violent action. In his cross-examination Washburn hinted at his line of defence: French was drunk and did not know what he was doing; Nowlan was a hot-tempered, swaggering ruffian. Defence witnesses amplified Washburn’s argument. 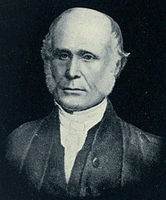 Concerning Nowlan’s reputation, which Robinson did not challenge, there was no doubt: Nowlan was a hard-drinking, “stout powerful man,” “a noted bully” whose character was bad. On the other hand, French was a small, “very inoffensive young man,” antagonized by a quarrelsome lout who had threatened him. Pre-trial publicity had underscored French’s mental problems. Washburn’s witnesses depicted him as simple-minded, given to fits of insanity, and at times suicidal. Robinson countered by drawing from Mackenzie the more qualified statement that French was not “entirely insane”; rather he was “not of as sound mind as others.” Weak of intellect he may have been, Robinson observed, but he knew right from wrong: his testimony, for instance, in the type riot trial had been accepted in court. Finally, French himself addressed the jury – rather inadvisedly, Collins thought, for the effect was to raise doubt about his supposed insanity. The jury deliberated about an hour before finding French guilty. Sherwood then addressed the prisoner, noting that vice had led to his downfall and imploring him to seek mercy in the hereafter. “The blood of your victim,” Sherwood emphasized, “demands retribution.” French was sentenced to be hanged and then dissected on the 20th, but the judge respited execution until the 23rd in the event that the trials of Goslin and Forest had any bearing on French’s case. The trial had caused much excitement and generated a good deal of sympathy for French. Indeed, within hours of his conviction, some 1,100 men signed a petition urging royal clemency. 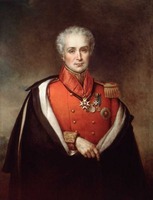 After the acquittals of Goslin and Forest, Lieutenant Governor Sir Peregrine Maitland*, always punctilious about capital cases, required Sherwood to report on the possibility of clemency for French. The judge indicated that, although the accomplices’ trials did not affect French, affidavits which had been sworn by them after their acquittals might. In particular, the new information challenged tile crucial crown argument that Nowlan had not made a threatening gesture to French before he was shot. Sherwood concluded that “the Jury might have found French guilty of Manslaughter only.” An emergency meeting of the Executive Council was convened at 5 a.m. on the 23rd: present were Maitland, James Baby, Peter Robinson*, and James Buchanan Macaulay*. Sherwood was questioned about the importance of the new evidence. He responded equivocally and attempted to shift the burden of the decision to the council. Prodded further about whether the affidavits warranted another respite and a recommendation for mercy, Sherwood replied affirmatively, reiterating, however, that it was not his decision. The council adjourned, directing him to compare Goslin’s original deposition to the coroner with his later affidavit and to confer with judge Christopher Alexander Hagerman*. Sherwood found contradictions between the two documents and, for reasons known only to himself, considered the deposition to have “more credit.” He thus sealed French’s fate. Lacking legal cause for mercy, the council “felt it their painful but incumbent duty to advise His Excellency that the Law should be allowed to take its course.” Maitland concurred. At 2:30 p.m. on the same day, attended by clergymen Thomas Phillips and William Ryerson*, French was led to the gallows and executed. 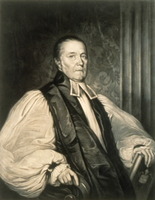 In the days previous he had spent much time with these men and the Reverend John Saltkill Carroll* preparing for his end with an equanimity that Carroll felt bordered on eagerness. 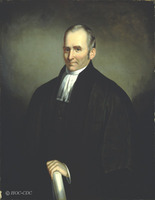 He had prepared a gallows address which was read by Ryerson and later published by Mackenzie. In it he upheld the justness of his conviction and sentence, blaming “bad company and drinking” for his unhappy fate. Urging the young to avoid vice and ruin, he enjoined them to accept the “wholesome restraints” of parental discipline “for their present as well as eternal good.” After his death, a few perfunctory incisions were made upon his body in accordance with the sentence. He was then sewn up and given a “decent private funeral” in the Presbyterian burial ground. Thus emerged the story that the “family compact” was unwilling to save one of Mackenzie’s employees, a witness to the type riot and a victim of a tory bully-boy. As such, it is of a piece with the charges of partiality hurled by opposition critics against Maitland and Robinson. The main objects of the denunciation have long been familiar: the persecution of Robert Randal, the dismissal of judge John Walpole Willis*, and the so-called outrages against John Matthews and William Forsyth*. French’s execution ranks with such lesser-known incidents as the tarring and feathering of George Rolph and the trial of Michael Vincent [see John Willson*]. These incidents contributed to the erosion of public trust in the judicial system but, in French’s case, surviving documents dissipate the air of villainy present in the popular account. There was no evident animus in Robinson’s prosecution or in the council’s deliberations. Everything seems to have been proper and above-board. Whether or not manslaughter would have been the more appropriate charge was a question requiring an assumption of judicial responsibility of which Sherwood was incapable [see George Powlis*]. AO, MU 1864, no.2622; RG 22, ser.134, 5, Home District, 17 Oct. 1828. PAC, RG 1, E1, 28: 119–56; E3, 103a; L3, 189: F12/26; 192: F17/36; RG 5, B27, 1, Home District, 1 July 1828. Town of York, 1815–34 (Firth), 96–97. 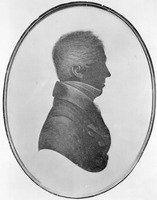 Canadian Freeman, 23–30 Oct. 1828. Colonial Advocate, 12 June, 23 Oct. 1828. J. S. Carroll, Salvation! O the joyful sound: the selected writings of John Carroll, ed. J. W. Grant (Toronto, 1967). Charles Lindsey, The life and times of Wm. 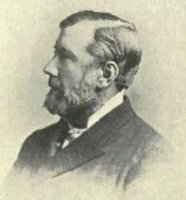 Lyon Mackenzie . . . (2v., Toronto, 1862; repr. 1971), 1: 117–20. P. B. A. O’Neill, “A history of theatrical activity in Toronto, Canada: from its beginnings to 1858” (phd thesis, 2v., Louisiana State Univ., Baton Rouge, 1973), 1: 38–39. Robertson’s landmarks of Toronto, 3: 258. Scadding, Toronto of old (1873), 59. Robert Lochiel Fraser, “FRENCH, CHARLES,” in Dictionary of Canadian Biography, vol. 6, University of Toronto/Université Laval, 2003–, accessed April 24, 2019, http://www.biographi.ca/en/bio/french_charles_6E.html.